One thing I've learned with 3 children is this... THEY WILL PULL/CHEW/PLAY WITH YOUR NECKLACE. 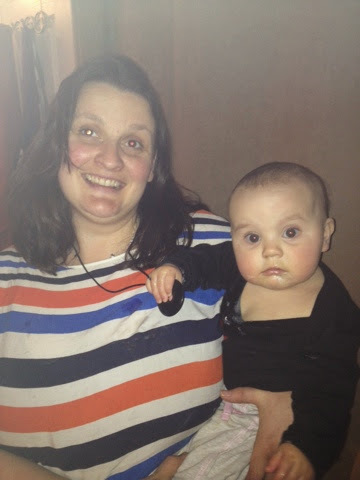 With this in mind I was really pleased to have the chance to review a lovely pendant from Teething Bling. It's a fab idea and works really well, Termite loved to play with it whilst breast feeding and she really puts it through its paces when she starts gnawing on it. I like how simple it looks, its not a fussy style and because I chose the black it goes with almost everything. It does exactly what its meant to, its good for teething and for playing and its great entertainment when we are out for coffee or waiting in the doctors etc, Its super safe with no nasties in it and has a lovely safety catch that snaps open under pressure. One of my two kids together at Christmas! a&p powder worked wonders for my son!